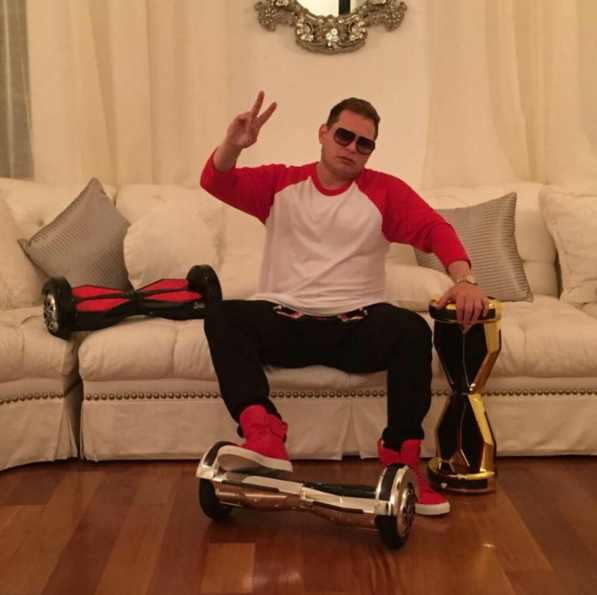 The rise and fall of Scott Storch has been well documented. In the 2000s, the producer worked with superstars like Beyoncé, Justin Timberlake, Nelly, 50 Cent, and Fat Joe. By 2015, he was bankrupt and had reportedly burned through over $70 million on drugs, a notorious yacht, and a ridiculously lavish lifestyle. According to The Hollywood Reporter, two investors decided to give Storch a shot at a comeback. Brad Cohen and Seth Cohen say that they saw Storch “was once again ready to prove himself as a worthy record producer and use his deep connections in the music industry to make money for the three of them.” They allegedly made a deal with him and invested over $1 million, giving Storch a weekly salary, a Rolls-Royce, and a rental house in Florida. Part of the agreement, according to the Cohens, was that they’d take away the Rolls-Royce if Storch started using drugs again. According to a new lawsuit, the Cohens discovered in mid-December that Storch was using drugs again. The Cohens now believe that they are not able to collect the money agreed upon in their agreement, and that Storch is failing to provide the services he promised.